Shawn Musgrave filed this request with the Massachusetts State Police of Massachusetts. For reference, the Ohio state coordinator released the attached spreadsheet of equipment received via the 1033 program. Please let me know if I can clarify this request further. To reiterate, this is a request for an inventory of equipment received by Massachusetts law enforcement agencies via the 1033 program. I've attached once again the inventory spreadsheet as released by the Ohio state coordinator, and cc'd all points of contact for Massachusetts as listed by the Defense Logistics Agency website. Please let me know if you require any further clarification of my request. Please acknowledge whether this request was received. A number of other states have already released their inventory spreadsheets and MOAs. Please let me know if I can clarify whatsoever. Please acknowledge whether this request has been received. Several other states have released their 1033 inventory data without any issue and have done so expediently. Your public records request has been received and, per standard operating procedures, has been forwarded to the Department's Legal Section for review and response. Thanks for confirming. This ought to just be an update of information previously released (although I am asking for an electronic spreadsheet this time, rather than the scanned PDF printout previously released), but let me know if anything requires clarification. If the MOA is taking a bit of time to pull up and review, I'm fine dropping that portion of the request. Checking as to status of this request. Please let me know if I can provide any further clarification as to the inventory spreadsheet. Again, more than 20 states now have released their inventory spreadsheet without redaction and any delay. Checking on the below request -- any update? More than 25 states now have released their MOA and inventory spreadsheets without redaction or delay. Please advise as to the status of this request, which was due more than a week ago. More than 25 state coordinators of the 1033 program have released their inventory spreadsheets without delay or redaction. Please confirm whether MSP will do the same for Massachusetts. I have not received any update to this request despite several attempts. The request is now considerably overdue. Please advise. I urge MSP to follow suit and to facilitate transparency of state and local governance. Please let me know if I can provide any further clarification or information to further this request. I will be submitting an appeal to SPR this afternoon if I do not receive a satisfactory answer as to the delay regarding this request. Per the message I sent yesterday, the majority of states have already provided this information regarding the 1033 program without delay or redaction. Furthermore, MSP has already provided similar documentation of the 1033 program in response to past records requests. Please advise immediately as to the status of this request. This is an appeal for constructive denial of the below request for public records. I submitted this request for documents related to the 1033 program to the Massachusetts State Police on August 18. It took several days for MSP to acknowledge the request, and it now stands overdue. I have attempted to obtain an update for the request by email to Mr. Procopio, who has ceased responding. Furthermore, MSP has already provided data on equipment distributed to Massachusetts law enforcement agencies via the 1033 program. Last November, MSP released the attached inventory of equipment received by Massachusetts state and local law enforcement agencies via the 1033 program. (This document can also be viewed online at: https://www.muckrock.com/foi/massachusetts-1/program-1033-aircraft-armored-vehicle-and-weapons-requests-ma-7020/). In response to a related request last winter, MSP also released a comprehensive listing of participating agencies in Massachusetts. MSP's footdragging on this request for 1033 data and the state's MOA with the Defense Logistics Agency is unacceptable and contrary to transparency, accountability and open governance. Please remand this request back to MSP for immediate release of the requested documents, per the agency's obligations under Massachusetts public records law. Below please find an appeal sent today by mail to the SPR for this public records request to the Massachusetts State Police. This request is now considerably overdue, and MSP has ceased responding to requests for followup. Please confirm receipt, and let me know if I can provide any further clarification. Please see the following attached response to your public records request. Please disregard the previous emailed appeal, as Mr. Procopio has now provided a substantive response. I will review and get back in touch as necessary. Received and acknowledged, thank you. Will do Shawn and you're welcome. I urge Massachusetts to follow the lead of more than 30 other states, including California, Florida, Texas, Maryland and Connecticut, in releasing full 1033 data. Please advise whether MSP will reconsider this determination without need for appeal to the Supervisor of Records. Again, MSP has substantively provided this precise data in the past — the distinction between equipment requested and equipment received as outlined in MSP's response is an arbitrary one. Thank you for your commitment to government transparency and accountability, and for your quick response on this matter so that I may submit an appeal to SPR and consult legal counsel if necessary. Our response to your request was formulated after much consideration of applicable public record law and relevant exemptions. We are satisfied that our analysis is legally correct and appropriate. Below please find an appeal of partial rejection of this request for documents regarding the 1033 program. A copy will also be mailed to you the SPR at the address indicated. Would you please forward a copy of the actual MSP response where exemption (n) was cited as well as SPR13/257. Thank you for confirming receipt promptly! You’re very welcome and thank you Shawn. This is an appeal for partial denial of the below request for public records. I submitted this request for documents related to the 1033 program to the Massachusetts State Police on August 18. In a letter dated September 12 (attached), MSP provided a copy of its memorandum of agreement with the Defense Logistics Agency, but refused to provide a comprehensive inventory of equipment transferred to Massachusetts law enforcement via the 1033 program. Furthermore, MSP has already provided data on equipment distributed to Massachusetts law enforcement agencies via the 1033 program. Last November, MSP released the attached inventory of equipment received by Massachusetts state and local law enforcement agencies via the 1033 program. (This document can also be viewed online at: https://www.muckrock.com/foi/massachusetts-1/program-1033-aircraft-armored-vehicle-and-weapons-requests-ma-7020/). In response to a related request last winter, MSP also released a comprehensive listing of participating Massachusetts law enforcement agencies. MSP has cited exemption (n) as well as Supervisor of Public Record Opinion SPR13/257 to support its claim that to release the requested inventory would "undermine public safety as it relates to security measures and emergency preparedness." The Massachusetts public records statute — and exemption (n) specifically — puts determinations of releasability of law enforcement records under the review of the supervisor of public records. As such, I ask that you remand this request back to MSP for full release of the requested records. 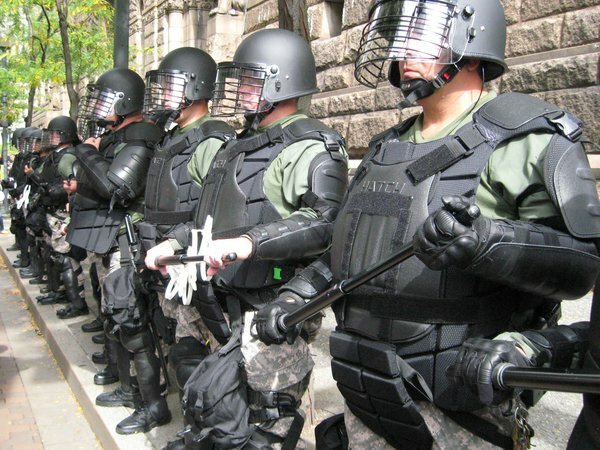 Beside the comprehensive data MSP itself released regarding 1033 program requests submitted by Massachusetts law enforcement agencies, a number of police departments have themselves disclosed such details of equipment received from the Pentagon. Furthermore, a number of departments answered similar records requests or media requests submitted directly to them without invoking exemption (n) or suggesting that disclosure of equipment receipts would jeopardize public safety or their emergency preparedness. In light of the considerable nationwide scrutiny of the 1033 program and its transfer of military equipment to state and local police, transparency is crucial to a public assessment of the operations of the program within our state. Massachusetts ought to join the vast majority of states that have upheld principles of openness in law enforcement by releasing a full accounting of which departments received equipment from the Department of Defense. A letter stating that the request appeal has been received and is being processed. I wanted to check whether there was an estimated completion date for this appeal. I also wanted to provide an update on my ongoing efforts to determine from individual police departments and law enforcement agencies around Massachusetts which equipment each had received via the 1033 program. Most significantly, the state Department of Corrections confirmed to me this morning that it received an M106 mortar carrier. This puts DOC in the company of Rehobeth and New Bedford police, both of which voluntarily disclosed receipt of heavily armored tactical vehicles, as well as the more than a dozen departments that have disclosed receipt of assault rifles and grenade launchers. Each of these departments does not see fit to withhold 1033 acquisition data from the people of Massachusetts. As state coordinator of the taxpayer-funded 1033 program, MSP ought to follow suit and release this information for public vetting. I wanted to inform you that I am currently working on your appeal. I am not able to provide an estimated completion date but I am reviewing the file thoroughly before I submit a recommendation to Supervisor of Records Shawn Williams. Thank you. Please provide an update on the status of this appeal. Furthermore, if MSP has been consulted regarding the requested records, I formally request equal opportunity to present my case for release of the requested records. Your appeal is currently under review by Supervisor of Records Shawn Williams. Once he has reviewed and approved, you will be notified of his finding by letter. I would anticipate a determination soon. Thank you. Yesterday, a panel commissioned by President Obama released its findings regarding the need for increased scrutiny of the 1033 program and similar federal programs that provide funding or direct equipment transfers to law enforcement nationwide. In part, the report found that: "Both law enforcement and civil rights stakeholders agreed that there is often insufficient transparency to decisions surrounding the acquisition of equipment. These programs often permit LEAs to request equipment outside of a local government’s standard budget process and without civilian (non-police) government approval. Local elected officials are frequently not involved in the decision-making, and the general public is similarly unaware of what their LEAs possess." In the spirit of promoting public accountability regarding the equipment that law enforcement agencies have received via the 1033 program, I once again respectfully ask that you release an unredacted spreadsheet of such equipment transfers. To date, 38 states have released this information. I urge Massachusetts to follow suit and help facilitate the productive dialogue around the 1033 program and its future that is only possible by evaluating the program's operation in detail. Thank you for your consideration, and I look forward to hearing from you. I wanted to follow up on the following Freedom of Information request, copied below, and originally submitted on Aug. 18, 2014. Please let me know when I can expect to receive a response, or if further clarification is needed. You had assigned it reference number #SPR14:554. A letter stating that the request appeal has been rejected.